In order to provide a value engineered solution for the Logan Wastewater Treatment Facility replacement project, Malcolm Drilling proposed 2,340 piles that will support 12 different structures in lieu of driven steel piles. By the time all piles are in, we will have drilled roughly 38 miles in front of a beautiful winter wonderland! 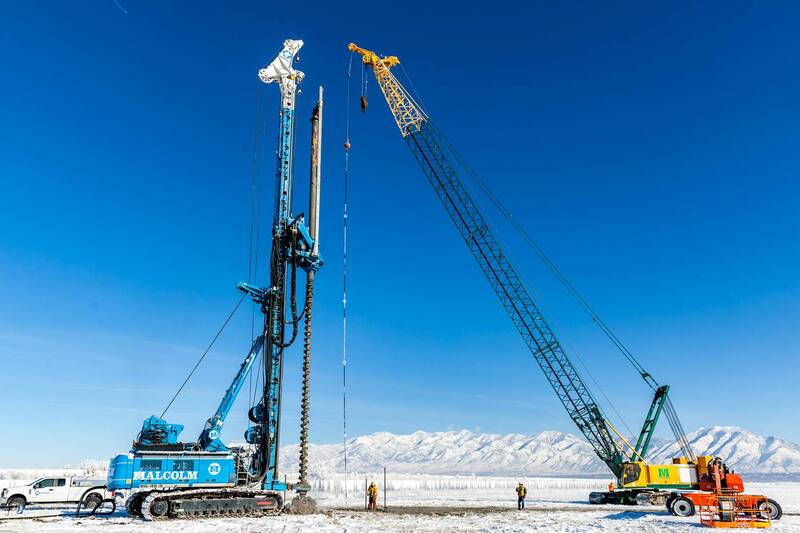 To learn more about the work we’re doing at this job site, please visit our project page or contact Matt Madsen at m.madsen@malcolmdrilling.com.